Are you sick of getting constantly getting beat to loose pucks? Are you fed-up of defenders catching you when it’s your chance to make the BIG play? Are you ticked-off that other players with far less talent can skate circles around you because you are too slow? A slow player can literally cripple his team’s ability to rack up wins. This is why THOUSANDS of hockey players end up getting cut from teams they deserve to be on- they’re too slow. Faster skaters are more valuable to a team’s long-term success. One look at this list of the NHL’s fastest player’s confirms what we’ve known all along. Your ability to generate speed can have the BIGGEST effect on the outcome of the game. Faster players get more scoring chances, more defensive stops and more opportunities to make the BIG play. Once you understand this, it becomes easy to see how a player who is an average scorer, defender or play maker can literally double his production by merely improving his ability to generate speed. Herein lays the big question, how do you get faster? Before you give up completely, let me assure you those failures were NOT your fault. Professional Strength Coach and President of Endeavor Sports Performance and over the past decade I’ve worked with hundreds of players at my hockey specific training facility in Pitman, NJ. In that time I’ve put my athletes through a battery of tests to uncover which exercises generate the greatest results in terms of speed development specifically for the sport of Hockey. I was surprised to find out how effective some of the lesser-known movements, were, when it came to drastically improving skating speed. According to my research, a series of exercises which target some of the smaller muscles of the body had an EVEN greater impact on a players ability to skate faster than some of the more popular hockey specific exercises. 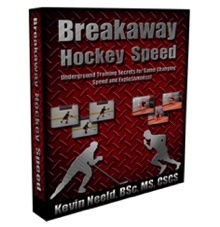 Breakaway Hockey Speed outlines the exact speed training system I’ve used with hundreds of hockey players to help them DRASTICALLY improve their speed and develop the game-changing quickness that catches the eyes of coaches and scouts and wins games. Knowing what I now know, I would never advise a hockey player who is serious about the game attempt getting faster without using this proven, step-by-step system. Why waste your time and energy trying to figure that out when I’ve already done all the hard work for you. I train hockey players each and everyday, meaning I know what works, when it comes to getting faster on the ice. 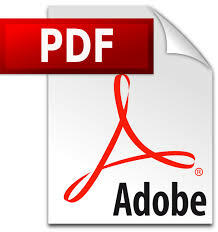 This is why I’ve gone ahead and laid it all out for you in this quick and easy, speed specific training manual. My clients who fly out to train with me in Pitman, NJ pay me hundreds of dollars an hour to learn everything you are about to get, I am damn near giving it away to you for just $7. Q: What’s Breakaway Hockey Speed? A: Breakaway Hockey Speed isn’t just a speed training course it’s more like a certified system guaranteed to get you faster in a matter of weeks. And throughout that entire process, I’ve been dogged about keeping detailed records regarding what actually worked and what was a complete waste of time. Given how thorough I’ve been… I’ve figured out EXACTLY how hockey players MUST train if they want to get faster. Q: if Breakaway Hockey Speed is so good why only sell it for $7, is there a catch? 1. 7 bucks makes getting it a no brainer, meaning you are more likely to use it and upgrade to my complete hockey development program Ultimate Hockey Transformation. 2. Even a small investment shows me that you are committed to getting better at the sport of hockey, which gives me a reason to take you seriously. 3. At $7 even the high school or collegiate level players can take advantage of this I was there once and I wish I had a resource like this when I was that age. A: Yes…as always all of my trainings are backed by a 60-day, no-questions-asked guarantee. If for any reason whatsoever you aren’t happy with your purchase, simply shoot me a quick email and I will refund purchase… no questions asked. Q: How long will it take to get access to Breakaway Hockey Speed? I get more questions from players about speed than anything else and I’m fully dedicated to doing everything I can to help YOU develop and exceed their potential. For about the price of a single skate sharpening, you can now get your hands on the speed training secrets and methods that have helped develop some of the fastest skaters in the country!